This beauty ingredient comes with impressive healing qualities for restoring skin and hair. Maracuja might sound fancy and all, but in fact, you might already know it by another name! 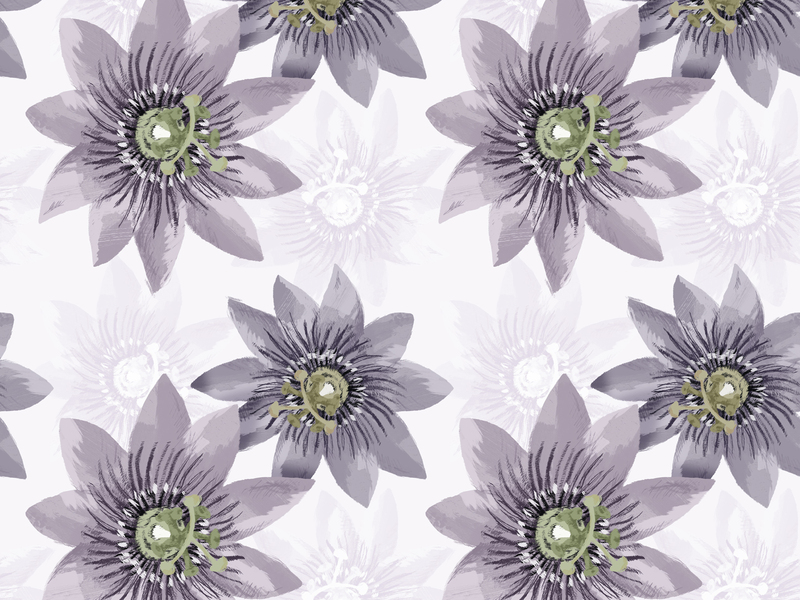 Maracuja oil is also known as passion fruit oil, since it’s extracted from passion fruit seeds. 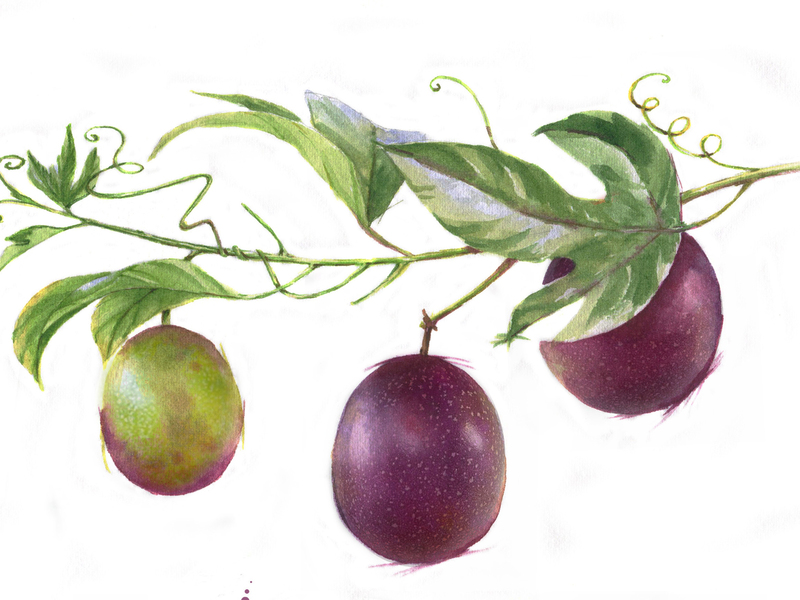 Passion fruit (Passiflora edulis) is a tropical fruit that’s native to South American rainforests. But it’s also been making its rounds as a popular beauty ingredient in all parts of the world. Here are all the top maracuja oil uses to benefit your skin, hair, and overall health. Up to 74% of maracuja oil contains linoleic acid, which is an essential fatty acid that guarantees the healthy barrier functioning of skin. It’s naturally found in your sebum to keep precious moisture locked into your skin for that glow. Due to its high linoleic acid content, maracuja oil is very effective at moisturizing skin. 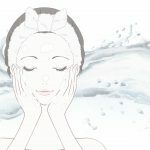 It doesn’t clog pores or leave skin feeling greasy, so it’s beneficial for both oily and dry skin. Whether you’re suffering from eczema or just seasonal dryness, applying maracuja oil can help to smooth out those dry patches. For larger areas of dry skin, Natural Living Ideas recommends that you first dilute it with a carrier oil such as jojoba oil for easier application. 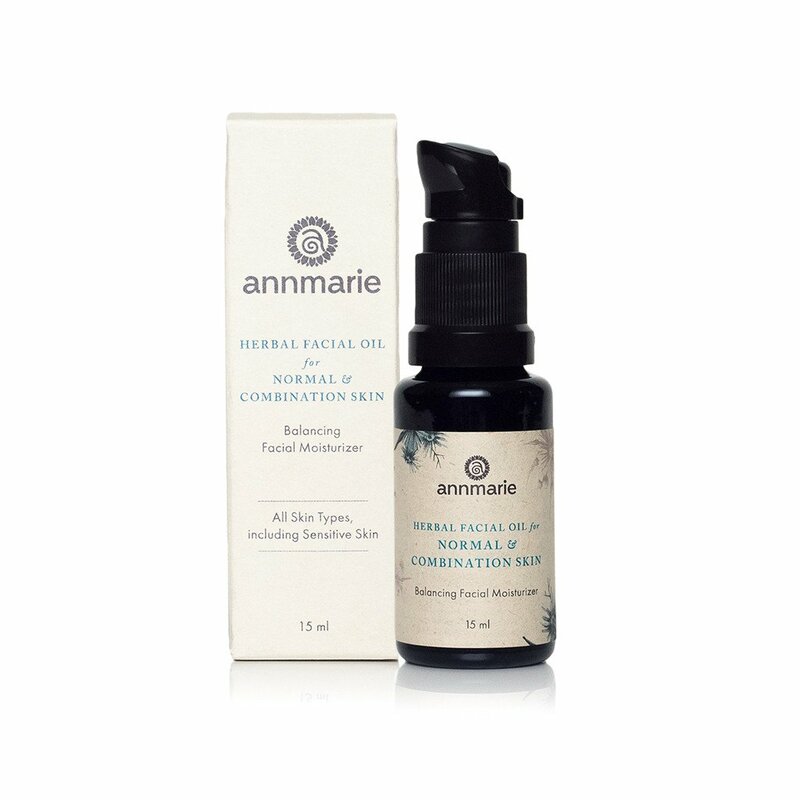 If you’d like to enjoy the health benefits of other botanicals, Annmarie also offers an Herbal Facial Oil that contains tamanu and maracuja oil to restore skin’s radiance. The face oil is lightweight and fast-absorbing. The linoleic acid in maracuja oil is also highly anti-inflammatory. That makes it ideal for calming down inflamed and irritated skin. Inflamed skin can happen in many ways. Whether it’s skin that’s reddened from a sunburn or chronic eczema, it might be worth trying maracuja oil to soothe that itch. Apply a few drops of pure maracuja oil to nourish skin back to a healthy balance, and whenever you feel the urge to scratch! Make sure to choose a cold-pressed formula so that it retains the highest amount of nutrients possible. Did you know that people with acne are often deficient in linoleic acid? Nourishing skin with enough linoleic acid is essential to keeping your skin balanced. It prevents against both excessively dry skin and oily skin. The thing is, your body can’t produce essential fatty acids on its own. What do you do to replenish a nutrient that plays a key role in your skin health? To help limit breakouts, use a gentle cleansing oil containing maracuja oil to wash your face twice daily. It helps remove excess oil, dirt, and makeup for a smoother complexion. 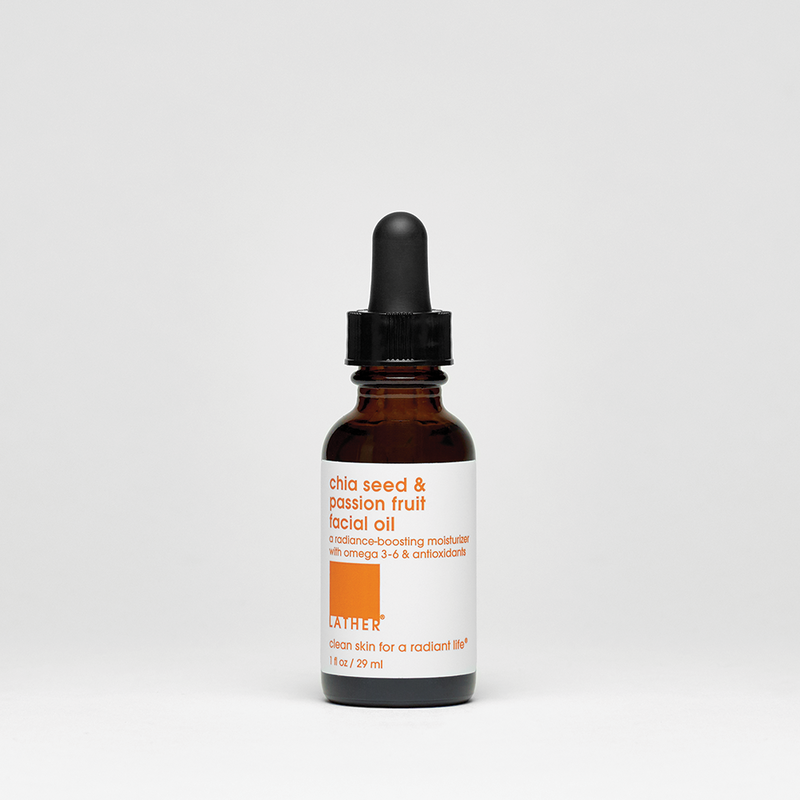 At the same time, it nourishes acne-prone skin with essential fatty acids from maracuja oil and chia seed oil. The cleansing oil is easily rinsed away afterwards to reveal a purified, soft complexion. Maracuja oil boasts high antioxidant properties, meaning it’s packed with potent nutrients that help fight against signs of aging. 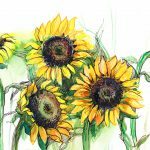 It’s rich in vitamin E, an antioxidant that helps to fight sun damage. Vitamin E is also great at keeping skin moisturized and preventing dry, cracked skin. In addition to that, maracuja oil contains vitamin C that’s celebrated for helping to brighten skin, and diminish fine lines and wrinkles. The range of nutrients that are naturally found in maracuja oil make it a top pick for any anti-aging routine. 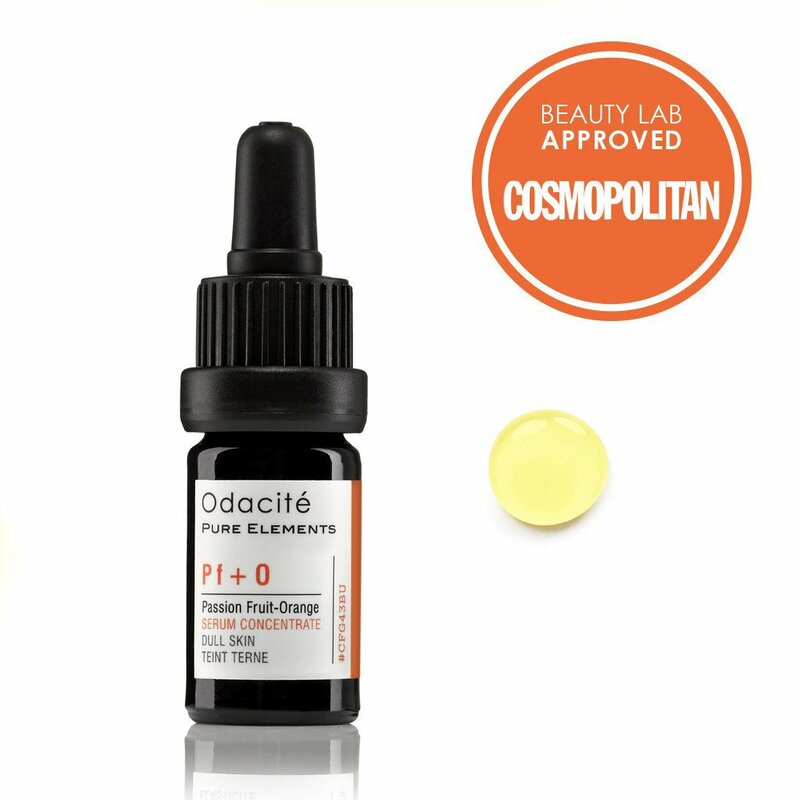 For a potent dose of these skin-beneficial vitamins, add a few drops of a passion fruit serum into your daily moisturizer, or pat it directly into your skin. Of course, your anti-aging regime will want to extend beyond just your face and neck. Generously massage an anti-aging body balm containing passion fruit seed oil and other super fruits into your skin. Multi-tasking lovers rejoice: the same nutrients that make maracuja oil work wonders for your skin are also vital for hair health. Linoleic acid is essential for a healthy scalp and promoting hair growth. It fights clogged pores that can obstruct hair growth and lead to inflammation. Thanks to maracuja oil’s high vitamin E content, it’s also beneficial for hair itself. Vitamin E helps strengthen the protective layer of your hair cuticles. That means it prevents against damage that can cause dry, brittle hair. To restore hair to a soft, luxurious texture, use a passion fruit conditioner daily to double down on damage. Massage it fully into your scalp and all the way to your hair ends. Focus especially on split ends or brittle strands. Hoping to give a nourishing boost to your lashes as well? 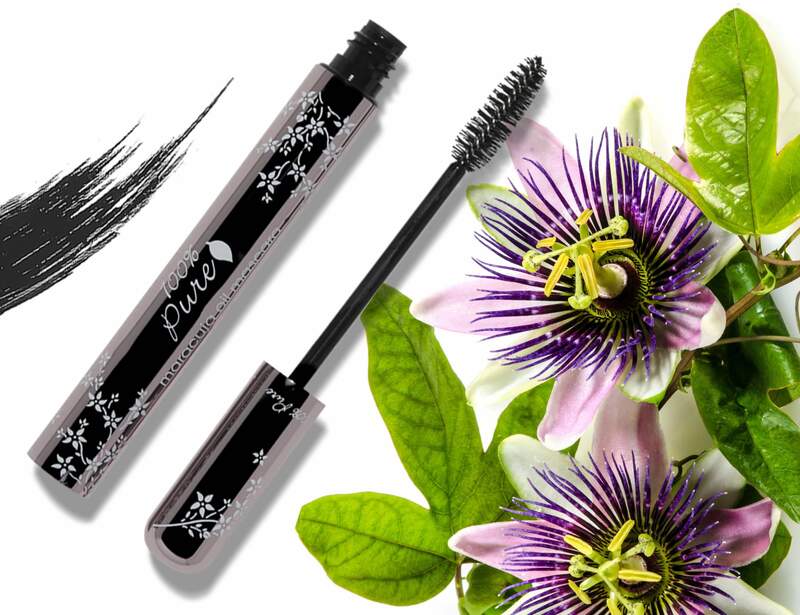 There’s a handy maracuja mascara to prettify your lashes and protect them on-the-go. The great thing about maracuja oil is that it’s a natural ingredient with potent results, and is ideal to use for all skin types. It’s a beauty multi-tasker and is easy to add to your daily routine. That makes it a skin care and hair care superstar in our book. 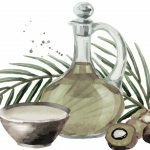 Just remember to stick to natural ingredients that work synergistically with it, or choose a cold pressed pure oil.